UPDATE: A 50-year-old Brookwater woman was charged this afternoon with Official Corruption following a Crime and Corruption Commission investigation. The ABC reports the woman is former Ipswich City Council CEO Carl Wulff's wife, Sharon Oxenbridge. CCC investigators arrested the woman this afternoon. She was transported to the Brisbane Watch-house where she was charged with Official Corruption contrary to Section 87 of the Criminal Code. She is expected to appear in the Brisbane Magistrates Court on October 24. It was the second arrest of the by the state watchdog. EARLIER: Former Ipswich City Council CEO Carl Wulff has become the fourth local council figure to be charged by the Crime and Corruption Commission. Mr Wulff, 65, of Brookwater, was charged this afternoon with Official Corruption and Attempt to Pervert the Course of Justice following a CCC investigation. CCC investigators arrested Mr Wulff and he was taken to the Brisbane Watch-house where he was charged with one count of Official Corruption contrary to Section 87 of the Criminal Code; and one count of Attempt to Pervert the Course of Justice contrary to Section 140 of the Criminal Code. He is expected to appear in the Brisbane Magistrates Court on October 24. In a statement, the CCC said its investigation was ongoing and as the matter was now before the court, they were unable to comment further. Mr Wulff was CEO of Ipswich City Council from 2006-2013. He resigned in December 2013 after a previous corruption investigation by the CCC, later taking up a role at Liverpool Council in NSW. The CCC cleared Mr Wulff of the earlier allegations in 2014. 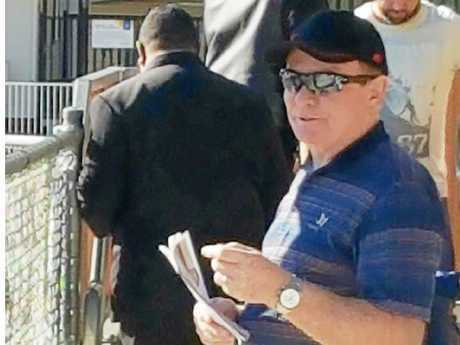 Former mayor Paul Pisasale is facing charges of extortion, assault and attempting to pervert justice. The man who followed Mr Wulff as CEO, Jim Lindsay, was last month charged with official corruption and disclosure of a confidential document. The council's chief operating officer of works, parks and recreation, Craig Maudsley, was charged with misconduct in public office. Mr Lindsay and Mr Maudsley are on indefinite leave with full pay pending the charges against them. EARLIER: A 65-year-old Brookwater man was charged this afternoon with official corruption and attempt to pervert the course of justice following a Crime and Corruption Commission (CCC) investigation. CCC investigators arrested the former Ipswich City Council employee this afternoon. Official Corruption contrary to Section 87 of the Criminal Code. Attempt to Pervert the Course of Justice contrary to Section 140 of the Criminal Code. He is expected to appear in the Brisbane Magistrates Court on 24 October 2017. As the CCC's investigation remains ongoing and this matter is now before the court, the CCC is unable to comment further.